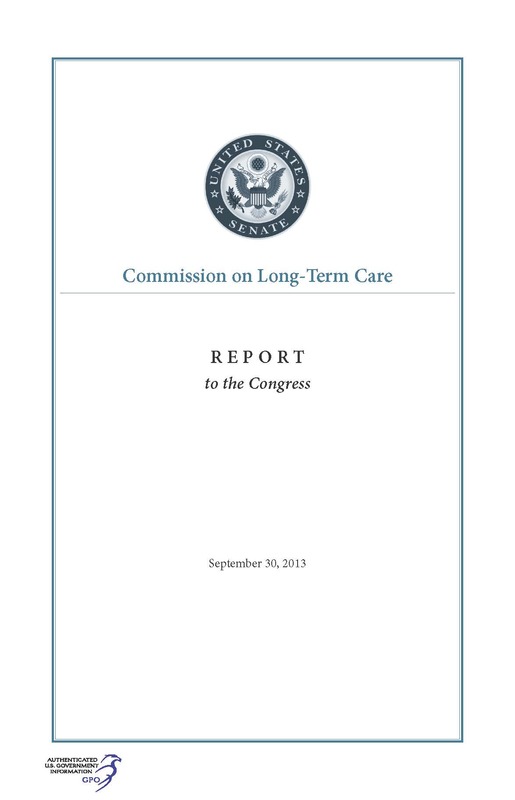 The Commission on Long-Term Care has formally released its Final Report to Congress in which it endorsed a package of 28 recommendations “for addressing our nation’s challenges with delivering and financing long-term care services and supports (LTSS).” Today it is also available from GPO. With U.S. Baby Boomers entering retirement age, every day more than 10,000 Americans reach the age of 65. In five years, over 50% of the U.S. population will be over the age of 50. As Americans live longer, more of us will need long-term care either with at-home services or nursing homes or other extended care facilities. 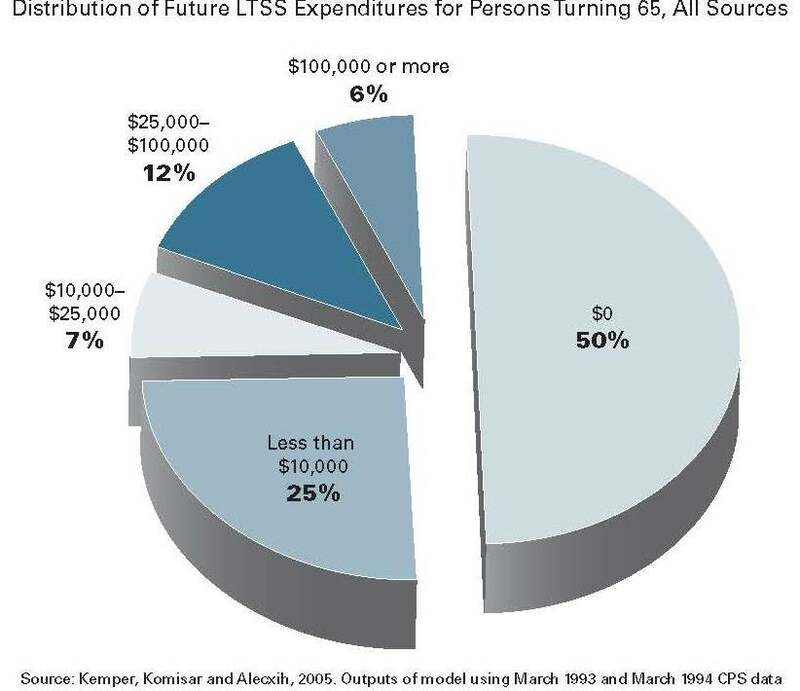 The estimate is that over 12 million Americans need LTSS today, and 27 million will need long-term care by 2050 (see image from the Report below). 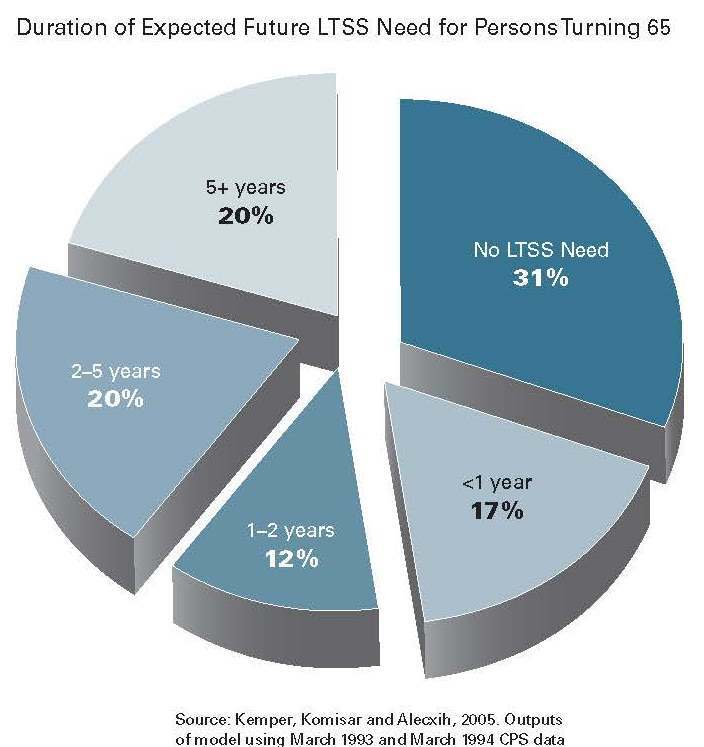 Almost half (49%) of today’s 65 year-olds will require some kind of LTSS within 5 years, according to the report (See image below). 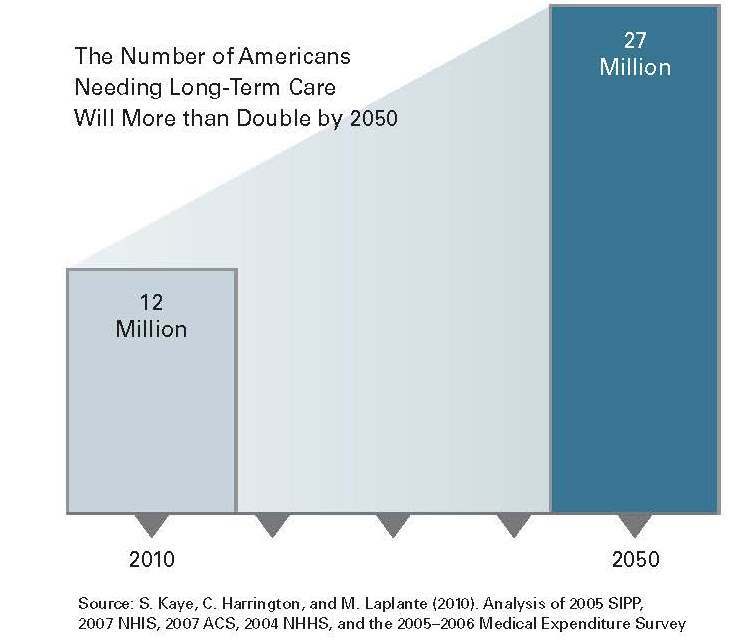 How expensive is long-term care today? The latest report from Genworth Financial estimates that middle class families would have to pay on average $18 per hour for homemaker services, $19 an hour for home healthcare aides, $3,405 a month for assisted living facilities, and around $230 a day for a room in a private nursing home. The Commission’s report calculates that 25% of today’s 65 year-olds can expect to pay from $10,000 to over $100,000 or more on long-term care services in the future! (See image below). What is the Commission on Long-Term Care? The Commission on Long-Term Care was established under Section 643 of the American Taxpayer Relief Act of 2012 (P.L. 112-240), signed into law January 2, 2013, to be comprised of fifteen commissioners. Three members each were appointed by the President of the United States, the majority leader of the Senate, the minority leader of the Senate, the Speaker of the House of Representatives, and the minority leader of the House of Representatives. Expanding use of insurance policies that combine life insurance and annuities with long-term care insurance. Using a Partnership for Long-Term Care in which arrangements are made between state and private insurers to enable long-term care insurance policyholders to retain assets equal to the amount of benefits paid under their policy and still qualify for Medicaid. Recognizing caregivers as members of “care teams,” including information about caregivers in patient records, assessing caregivers’ need for support, and making services like respite care more widely available. With five dissenting members, the Commission explains that it included “two approaches” in its Final Report about how to finance a long-term care system (LTSS) in the United States. To find out more, you should read this timely and important report. How can you obtain a copy of this Long-Term Care report? Shop our Online Bookstore website: You may purchase a copy of this report online 24/7 on the U.S. Government Bookstore site. Visit our Retail Store: Printed copies of this report may also be purchased from GPO’s retail bookstore at 710 North Capitol Street NW, Washington, DC 20401. Call (202) 512-0132 for information or to arrange in-store pick-up. Hours are Monday through Friday, 9 a.m. to 4 p.m., except Federal holidays. About the Author: Michele Bartram is Promotions & eCommerce Manager for GPO’s Publication and Information Sales Division and Government Book Talk Editor.